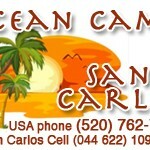 Ocean Camp San Carlos: has scheduled six nature and cultural tours for 2019. 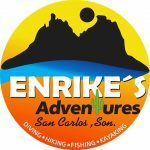 San Miguel, Monarch Butterfly Reserve, Chiapas, Baja whales, Copper Canyon, Oaxaca. 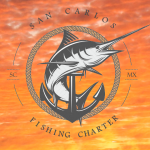 San Carlos offers outstanding sport fishing year-round, and our Team Margarita charter boats can adapt to whatever fishing style you prefer. We practice “catch and release” on all billfish, but other varieties can be excellent food for the table. Light tackle or fly-fishing enthusiast? We can set you up! Tell us about your transportation needs, and we’ll give you the best choice! Check out RT Rent A Van & Shuttle Service, a new safe and affordable transportation service in San Carlos. 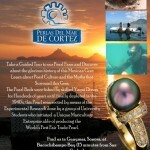 We are a full service charter company located in San Carlos, Sonora, Mexico. 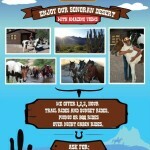 Ready to horse around a little? 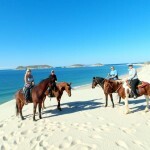 Then come ride with us on marvelous alabaster beaches or enjoy the solitude of the mystical Sonoran desert. 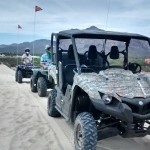 We offer many affordable trail rides for all levels and ages of riders. 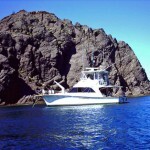 Welcome to Dakota Charters, located in beautiful Marina San Carlos. 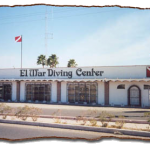 We offer a complete variety of Sea of Cortez charter Yacht packages, whether you are looking for a sport fishing charter, dive charter, a yacht charter for day cruises or a multi-day live aboard luxury yacht charter. Have a group with mixed interests? 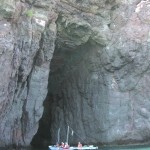 No problem, we can tailor a private boat charter to meet the needs of your family or group.